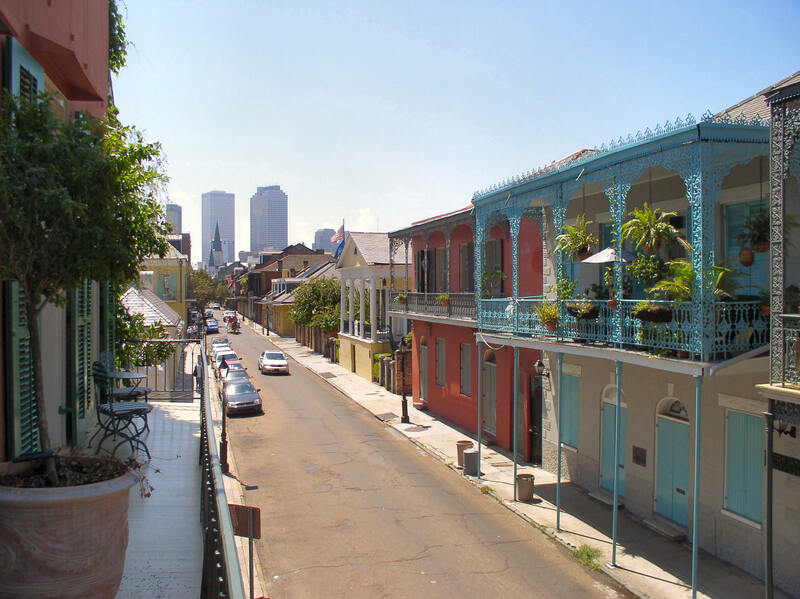 New Orleans’ unlikely mix of architecture, as seen from Chartres Street, is a kind of temporal pastiche. Photo courtesy of Wikimedia Commons. a hodgepodge of incongruous parts.